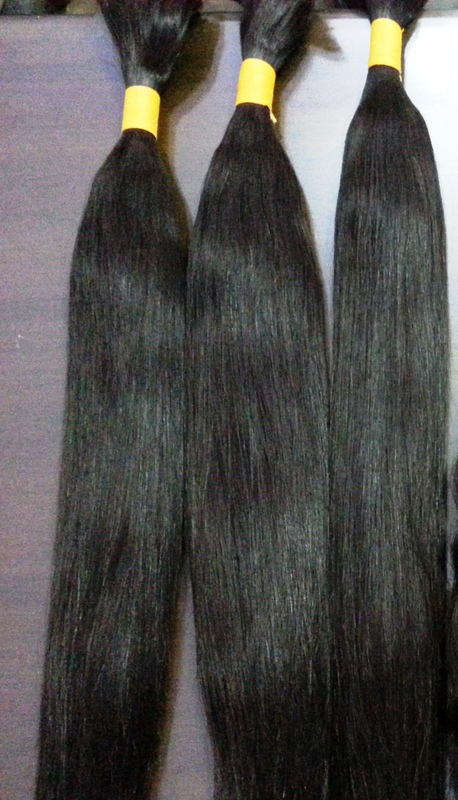 Bulk Hair is typically used for Braiding. The hair is completely loose at the end and is not sewn into a track like wefted hair. The only thing keeping the hair tied into a bundle is the thread that holds it together. This is 100% Indian Human Hair. The straight virgin bulk hair is naturally straight and has never been treated with chemicals in its entire life. The straight bulk hair can be very useful when you are planning a different hairstyle like a braid or tree braid. They look natural, because they are natural. 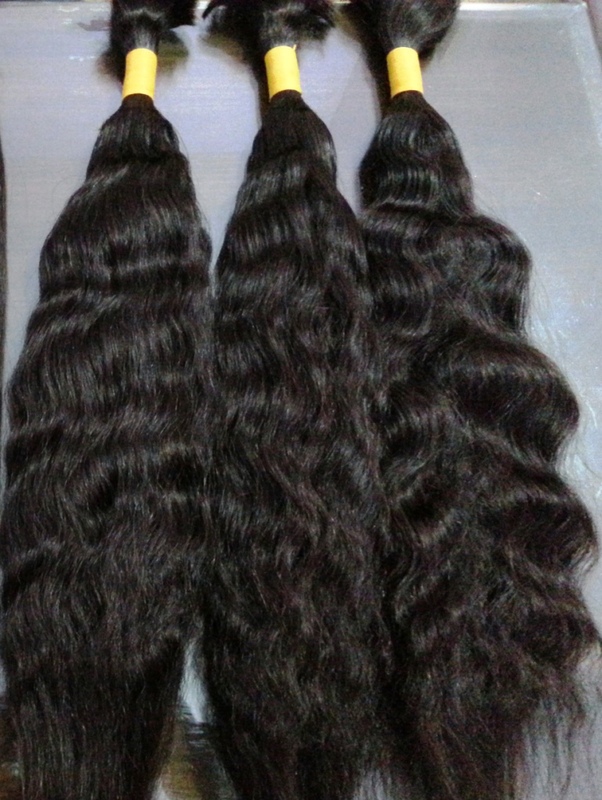 They come in a mix of black and dark brown that will be a perfect addition to your own hair. Enjoy the beauty instant volume to your hair, naturally. 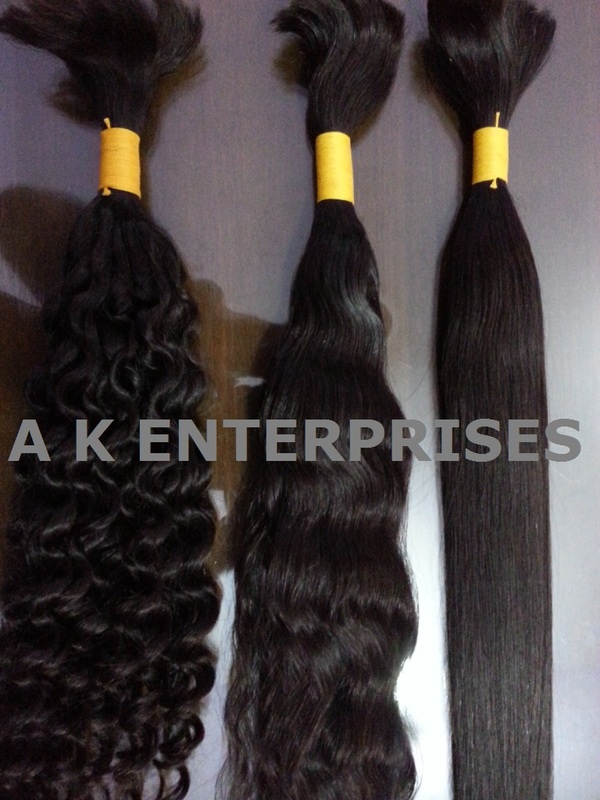 The premium quality of Indian virgin hair is naturally wavy with no chemical or heat treatment to give it a wavy appearance. 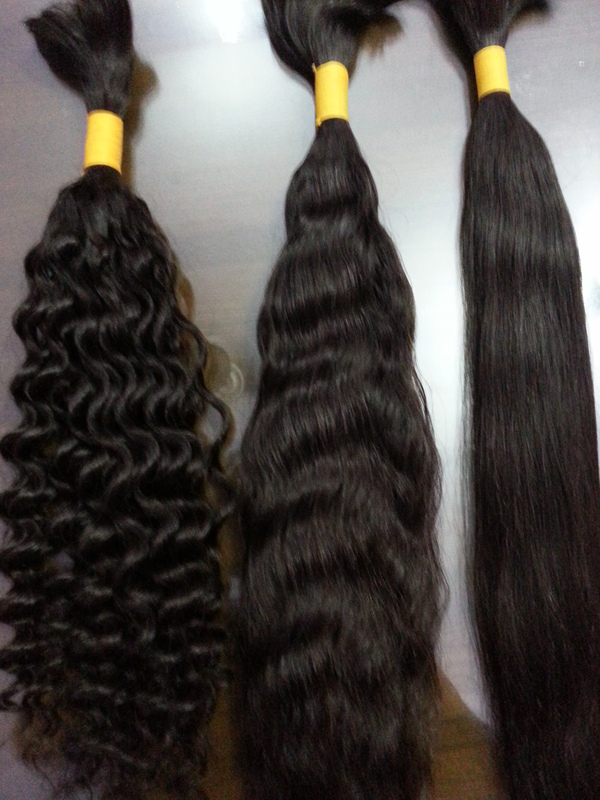 The wavy Indian bulk hair extensions can be used for braiding and of course the styling possibilities are never-ending if you have a creative bend of mind. Get the natural waves of beautiful texture and shine that will instantly make you look stunning with soft waves falling on your shoulders.